The iPhone 6 and iPhone 6 Plus officially arrive tomorrow. Oh, you don’t care? 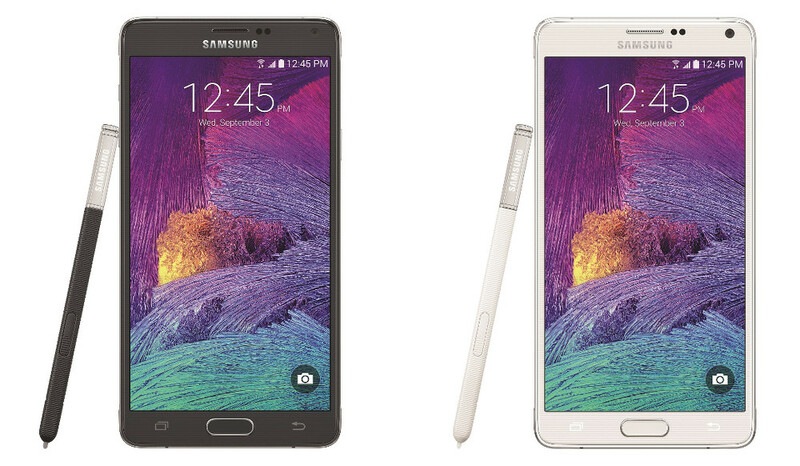 OK, good, because Samsung announced this morning that the Galaxy Note 4 goes up for pre-order tomorrow as well. Carriers are weighing too, with Verizon, AT&T, and T-Mobile all confirming that you can pre-order the phone through their stores in the morning. The device is expected to arrive in stores on October 17. Verizon will go live with pre-orders at 12:01AM Pacific tonight at a price of $299 on-contract. At that price, you are looking at 32GB of internal storage, a 5.7-inch QHD Super AMOLED display, 16MP rear camera with OIS, 3.7MP front camera for selfie snapping, 3,220mAh battery, and a brand new S Pen. (Edit: Verizon has corrected their pre-order time which is 12:01AM Pacific, 3:00AM Eastern). AT&T’s pre-order situation is basically identical to that. The device goes up for pre-order tomorrow at $299 on-contract. If you decide for AT&T Next, the company’s payment plan for phones, you are looking at either $34.42 or $41.30 per month in either AT&T Next 18 or AT&T Next 12, respectively. We are still waiting for Sprint to mention pre-orders, but the device will at least be available on the 17th of October. Update: Sprint pre-orders begin September 26.